I always knew that the task of finding a venue for our Symposium was going to be no easy task, but I didn’t quite realise the highs, lows and pitfalls that would come my way. Finding a space that was big enough, cost effective and, most of all, accessible in London felt like a challenge, but one to which I was committed and ready to grasp with both hands! We knew we wanted to find a partner rather than just a host – someone with a vested interest in the Symposium, who would like to be involved in shaping and delivering the event with us – and with this in mind I began putting together a long list of potentials. I quickly realised that theatres, event spaces and more traditional conference arenas in London could range from one extreme to another; some fitted all the criteria in terms of space and access but were eye-wateringly expensive, being aimed at a corporate market, or were big enough and within budget but also happened to be Victorian or built pre-1970s, for example, and either had no consideration for access or could only fit one or two wheelchair users in an auditorium and none on the stage, which wasn’t quite going to cut it for us. So the hunt continued. I visited various spaces and met with many different staff teams, but surprisingly many of the ‘big name’ venues could only offer space for around five wheelchair users – an improvement, but still not good enough. Some also said that no wheelchair users would be allowed in particular areas – even the bar, in one case! Eventually the stars aligned, we had identified a few worthy contenders, and so began the process of narrowing down the options to the best fit in terms of space, access, reasonable proximity to Southbank Centre (where the Unlimited Festival will begin on the evening of the 5 September) and, crucially, a positive attitude towards access and a track record for putting that attitude into action. Eventually, one space clearly stood out as the perfect fit. 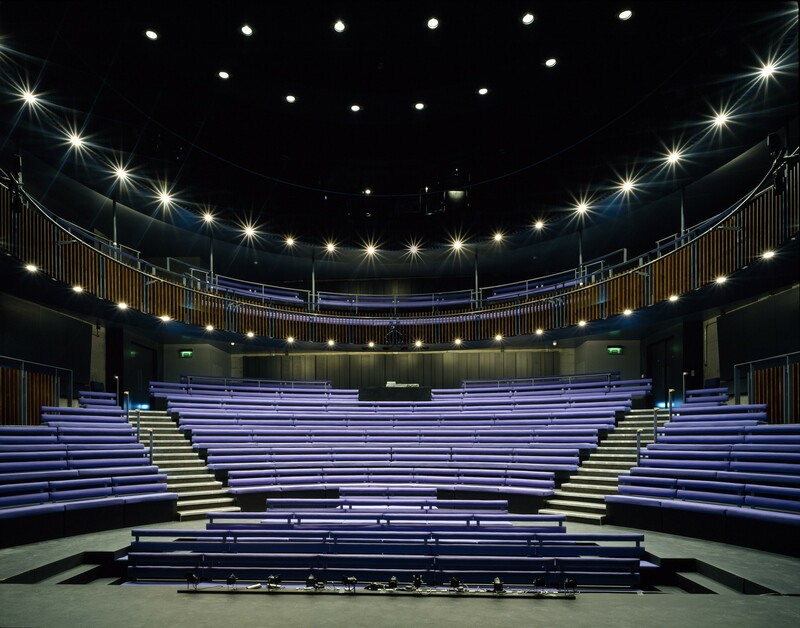 So, drum roll please… We are pleased to announce that Unlimited: The Symposium will be hosted by the Unicorn Theatre, based on Tooley Street near London Bridge. The Unicorn is the UK’s leading professional theatre dedicated to producing inspiring and invigorating work for young audiences. They have an excellent record for access, customer service and the employment of disabled people – including Usher Plus, a scheme to widen and diversify just who can be an usher, challenging stereotypes and providing vital experiences. We couldn’t be happier to be partnering with them.